Eelke Kleijn in The Lab NYC - Pop It Records - NEW MUSIC EVERYDAY! The Lab NYC is Mixmag and WAV's weekly live stream and post-work unwind, powered by Void Acoustics, where we showcase the finest DJs direct from our Brooklyn fice. This Thursday, August 23, Rotterdam-based artist Eelke Kleijn showcases his grand, melodic and deeply emotive sound. Since emerging during the early 2000s, Eelke Kleijn has continued to make a lasting mark on dance music by showcasing captivating and progressive material. He's released two albums, numerous originals and a wide array remixes on esteemed record labels such as Eskimo, Toolroom, Suara, Ultra, EMI and Spinnin', as well as his very own label, DAYS like NIGHTS. Plus his third album is set to arrive in November. He has been named a BBC Radio 1 ‘Next Hype’ act for his track ‘Stand Up’ and is regularly tapped to produce music for Hollywood film trailers, including for Parker, Wrath Of The Titans, This Means War and not least Ron Howard’s Rush. When he's outside the studio he's touring the global club circuit, making regular stops in the UK, Argentina, Australia, the Netherlands and more. This year he'll make his debut at Burning Man, playing Playaskool, Kashba Lounge at Playground and a big art project that has yet to be announced. Having Eelke Kleijn grace the intimate setting The Lab NYC is certainly a special moment. 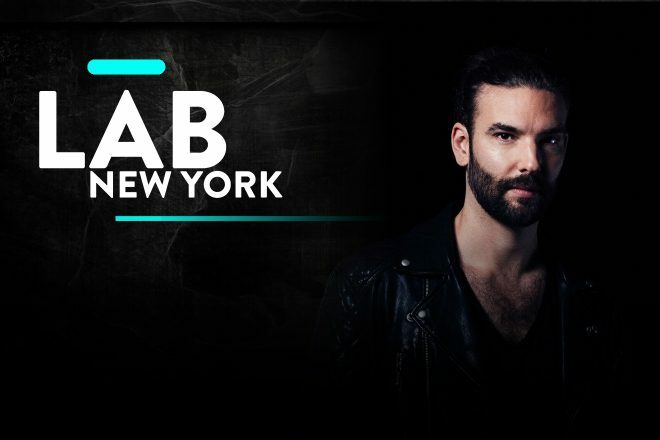 to Mixmag TV and follow Mixmag on Facebook to watch Eelke Kleijn in The Lab NYC on Thursday at 8PM EST. On WAV, fans can discover new artists and follow their journeys through exclusive content, interactive live streams and behind-the-scenes clips. Aside from being an artist discovery hub, WAV is a producer quality original series and live-streamed content. Download WAV in the iTunes and Android app stores now.